See All of Angela's Amazing Pregnancy Style! 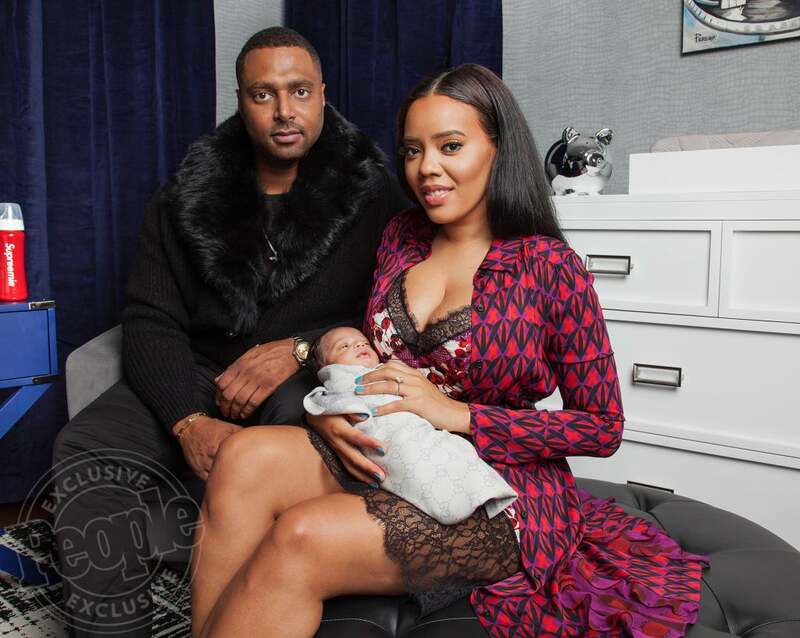 Motherhood might have come sooner than expected for Angela Simmons but the young mogul is now showing off her newborn pride and joy to the world. The Growing Up Hip-Hop star shared photos of her new baby boy, named Sutton Joseph, and he’s just as cute as fans imagined. Simmons said that while giving birth to her son in late September was a surprise (he was 3 weeks and 3 days early), adding the name “mom” to her resume has been a dream come true. Baby Sutton has the honor of toting two very special names–his first name represents that of his father Angela’s fiancé, Sutton Tennyson, while his middle name is a nod to his grandfather, Joseph Simmons. As for daddy duties, Angela admits that her future hubby-to-be is attentive to both she and their newborn, who she says has a healthy little appetite. The 29-year-old shared some sweet photos on Instagram of her little one and we truly can’t get enough.